Don't forget your kitchen when you are decorating your home! 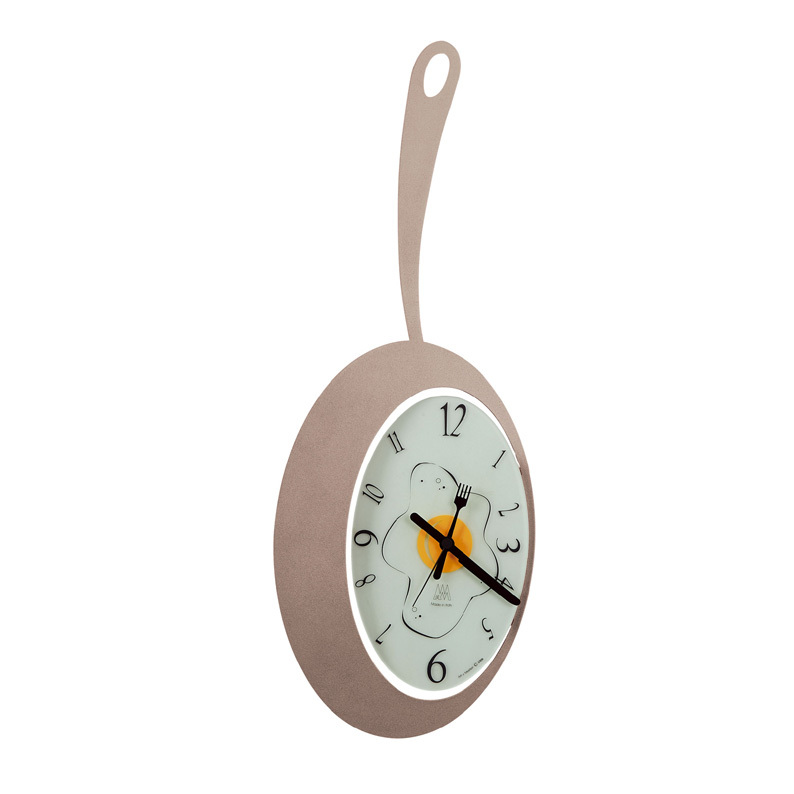 Add a frivolous touch with this delightful frying pan wall clock. The clock face features a quirky knife and fork as hour and minute hands sitting on top of a comic-style fried egg. Designed to put the family into a good mood for the rest of the day! The soft beige colour will blend in perfectly with any décor theme. The clock is a great sized 25cm in width and a long 68cm in length!! !